Did the iPhone 4 actually ever die? Update: Having looked into the Brazilian listing, and speaking to a journalist living in Brazil, TechRadar has had confirmation that the iPhone 4 has apparently never been off sale in the country, which suggests the stories coming out of India are probably being seeded by re-sellers looking for a publicity blitz. Apple may be about to resurrect the iPhone 4 which it finally killed off last year after the launch of the iPhone 5S and iPhone 5C. According to Indian site The Economic Times, Apple is planning on bringing its fourth generation smartphone back to life - but only for developing markets. The news apparently comes from three senior executives, but there's no firm indication of who they are. They claim Apple has already produced new iPhone 4 stock, with handsets sporting a December 2013 build date and estimates suggesting 50,000 to 60,000 units have already entered India. Brazil, India and Indonesia are apparently the three territories in line for some iPhone 4 love - although a quick look on the Brazilian Apple store reveals that the phone is on sale. It's not clear if this iPhone 4 listing has always been on the site and Brazil still has some stock left, or if it has been recently re-added to the site in light of the phone going back into production. We have approached Apple for more information, and we'll update this article if we hear back from the Cupertino firm. 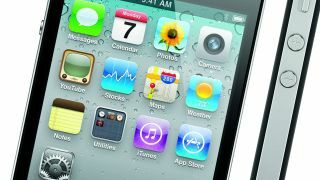 If Apple really is rebooting the iPhone 4, does this mean we could see other iDevices brought back from the dead? Perhaps the iPhone 5 will re-emerge to challenge the 5C - we can but dream. Never mind the past, what does the iPhone 6 hold for us?